Internet Rumor Control: Epic KaBoom! Compass lake 18″ rifle gas SPR barrel, 1:8 twist 223wylde chamber. Clark Custom Carbon Fiber Free Float Tube. He had used this rifle for some time at local and national level matches. 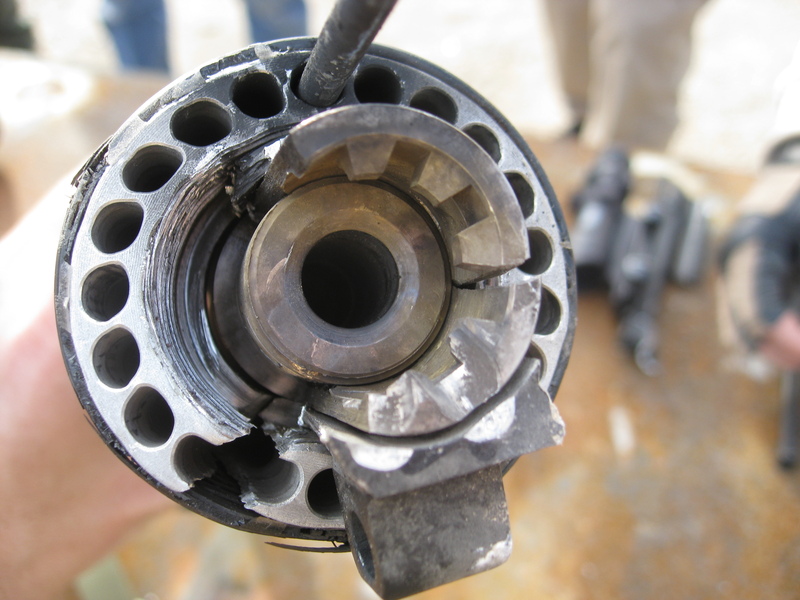 The failure occurred at the December 2010 Phoenix Rod and Gun 3 Gun Match. On the close range rifle stage Paul fired 3 rounds and on the 4th round the failure occurred (interestingly we did find all 4 holes in the paper targets). Karl Kasarda, who was running the timer, saw Paul’s hat fly off and at first thought it was muzzle blast from his brake that caused it. 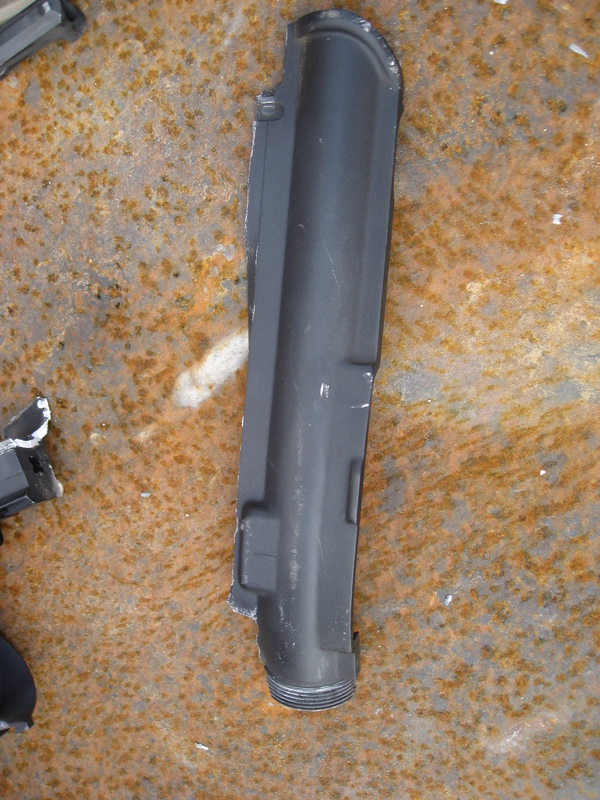 I was conversing with other shooters when heard an extra loud muzzle report and turned in time to see the rifle fall out of Paul’s hand in pieces. Paul was visibly shaken. We checked him for injuries and fortunately there was nothing major. He had some small scratches on his face and a fragment from the barrel extension in his inner forearm. He was wearing Oakley Half-Jacket glasses and while there was no visible impact on the glasses, Paul now uses glasses with more coverage for shooting. Cracked barrel extension. 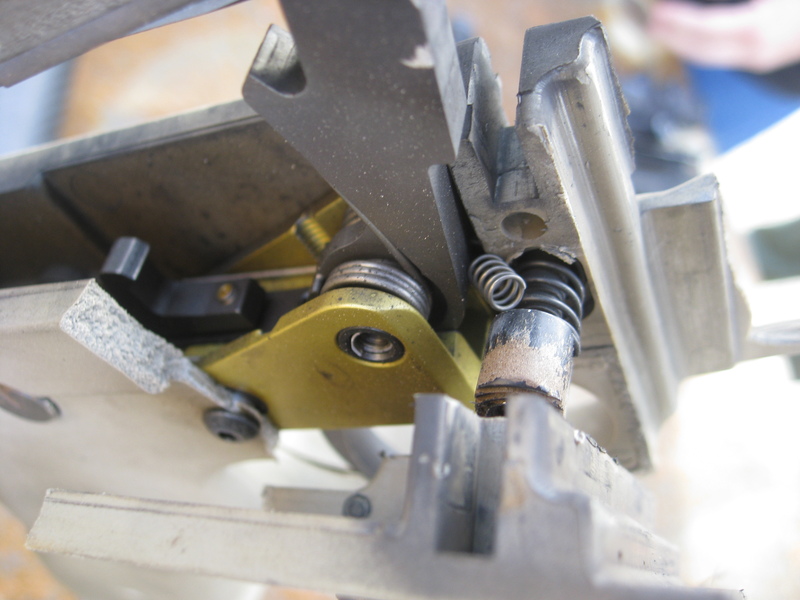 The threaded area of the upper receiver and front lug separated from the upper. The bolt split right down the middle. Extractor broke off. 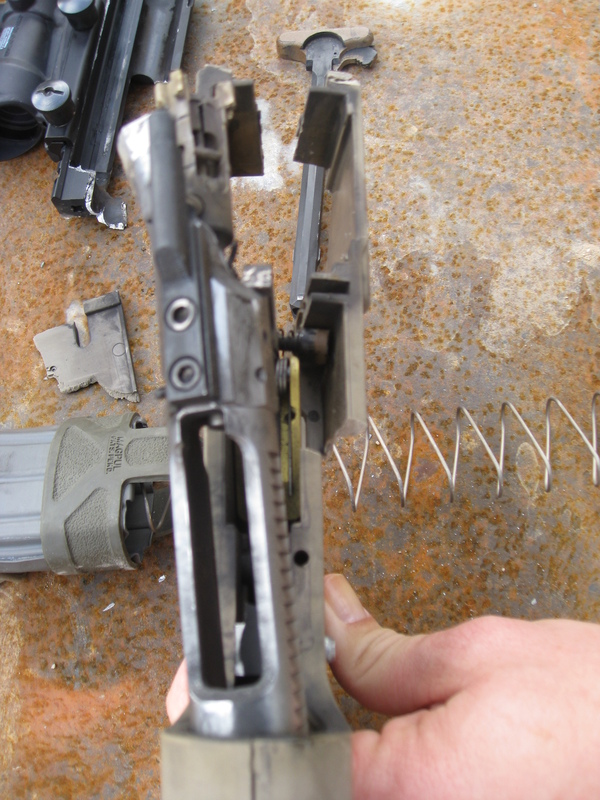 The CAV-15 MKII polymer receiver fractured at multiple points. We speculated that the lower fracturing like this saved Paul from more severe injury as it gave the over-pressure more room to escape more rapidly. 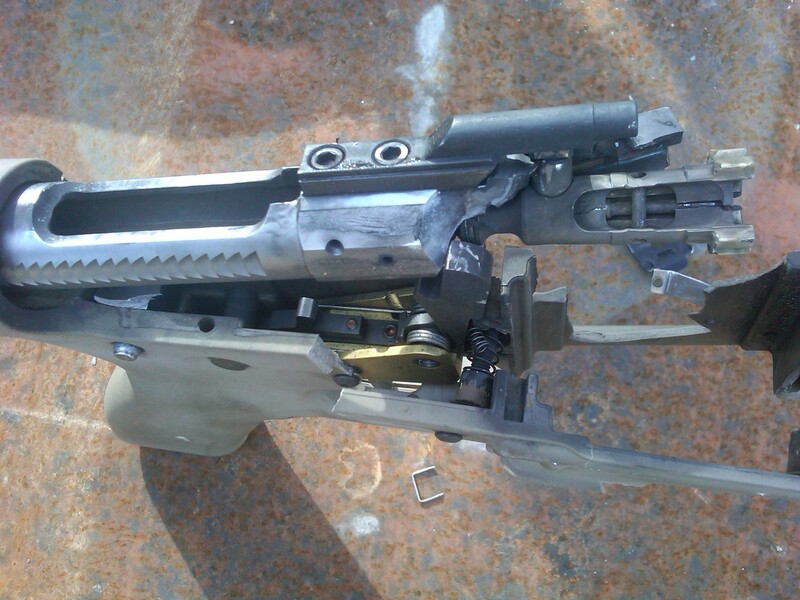 The bolt carrier also suffered severe structural damage. The magazine blew out as is typical with catastrophic failures. 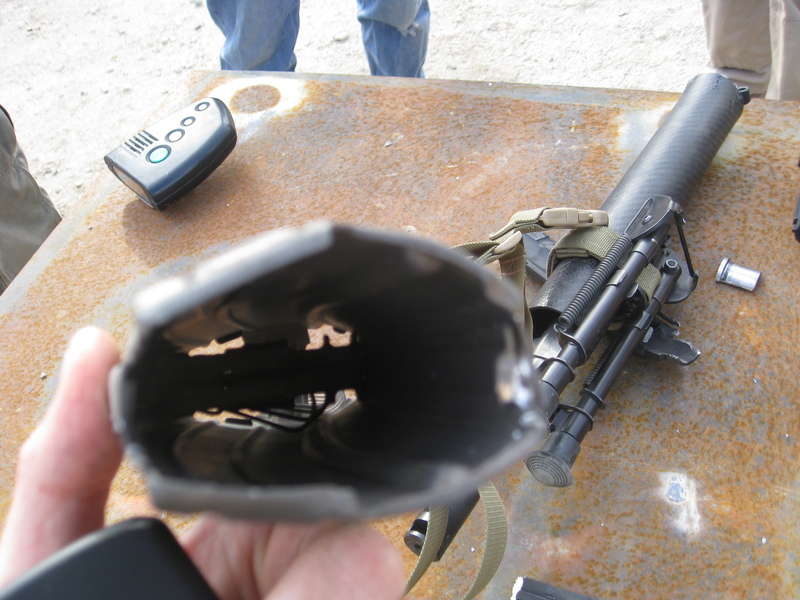 It wasn’t .300 Blackout in a .223 barrel. It wasn’t head space. It wasn’t “firing out of battery”. It was a binary charge in the cartridge of pistol and rifle powder. Pistol powder burns at a much more rapid rate than rifle powder. 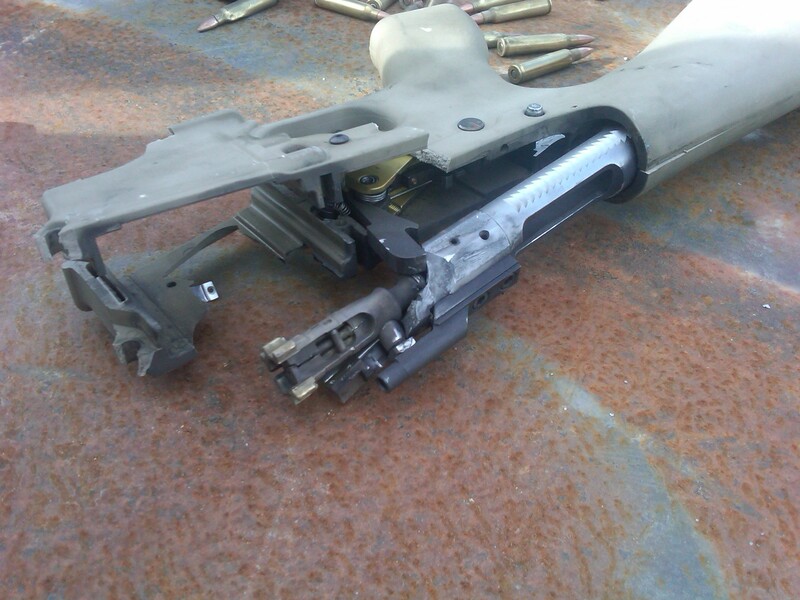 That created the over-pressure that caused the rifle to fail like this. Paul had purchased a lot of ammo from a commercial reloader. They had not sufficiently cleaned out the hoppers when switching from pistol to rifle reloading. Fortunately for the public, Paul had bought the entire lot. The manufacturer compensated Paul for the damage and the bad ammo. Four years later I don’t feel the need to name the manufacturer because they took corrective action and Paul was satisfied with how they handled it. I’m sure this will keep coming up every so often in the cycle of the internet. Please direct people here for the entire story. 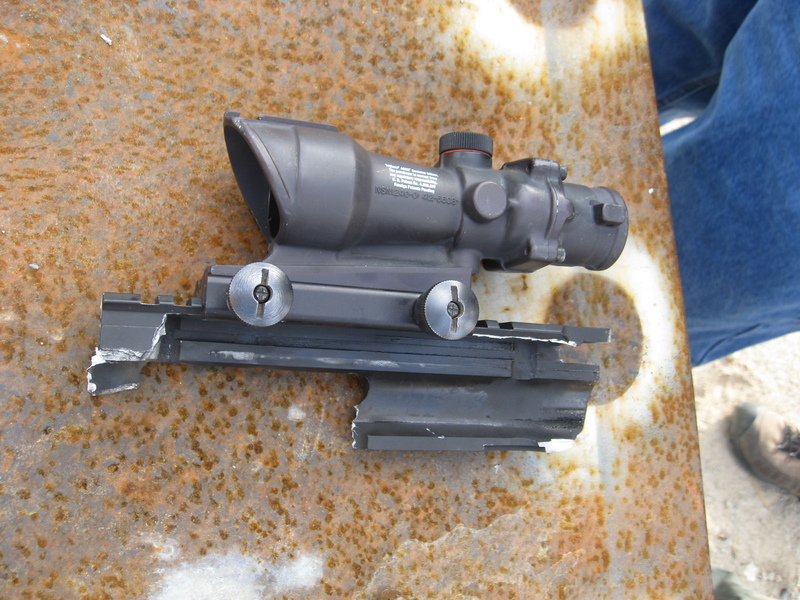 This is a cautionary tale for reloaders, and emphasizes the need to wear quality protective lenses. This entry was posted in CAV-15, Competitions, Gear, Industry Insiders. Bookmark the permalink. 4 Responses to Internet Rumor Control: Epic KaBoom! What is “9mm upper with gas tube hole drilled out” ? you stated that it is in 223 Wylde chamber later. 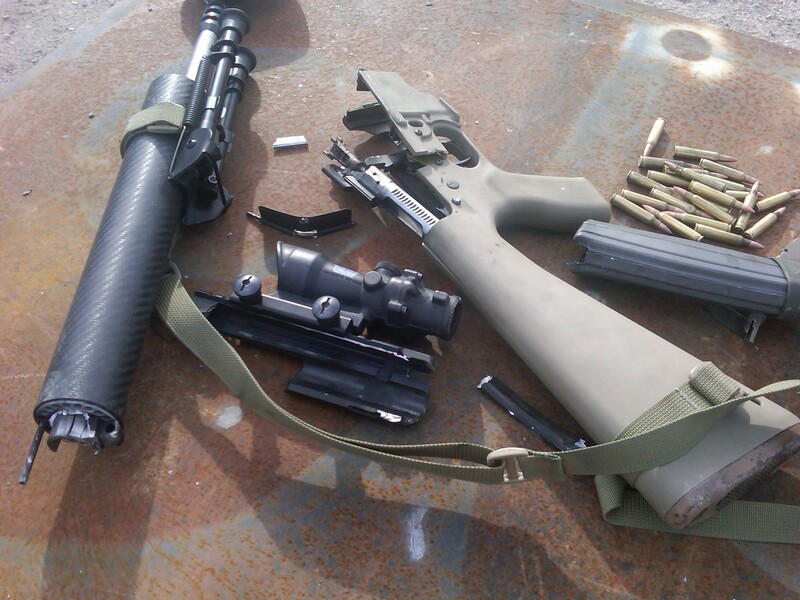 The upper receiver does noy determine caliber, the barrel does. 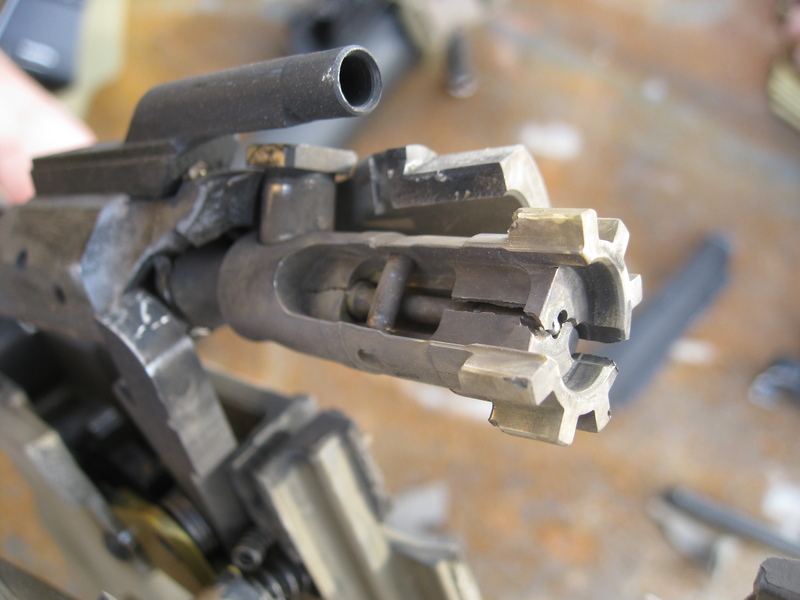 Uppers intended for use with 9mm barrels are often manufactured without forward assists or brass deflectors. Paul used one of these to save weight at the time. There are now a lot more options available for making a lightweight upper. Good info. 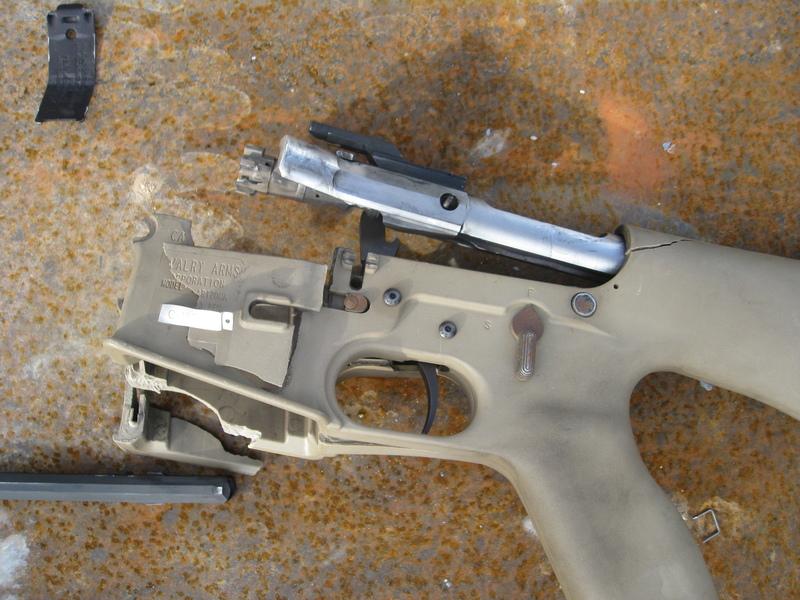 The polymer receiver looks to be more adsorbing of the charge than the upper. I’ve been interested in a CSV Arms for price and weight. Very cool. Rainier Arms sells them so they must be good has been my thought since I trust them from God experiences. Question: why did you choose it?